Flash Towing San Jose, a well known towing service provider, offers various roadside assistance services all over California. we are widely known for our alternative pricing policy. Nowadays, in towing, most of the service providers have lost honesty, both in service and charging. Flash Towing San Jose is not among them who practices honesty and attractive commitments only in advertisements for which Californians have become disturbed for hidden costs, extra charges, high pricing with notify etc of California Towing service providers. Flash Towing San Jose also practices such values in real and its practices to maintain them in real what it has committed to. Providing almost all types of roadside services, it plays a quick role in an emergency. Flash Towing San Jose takes extra care in repair. especially as it tries to keep clients out of more damages. It takes extra care in repairing, means it doesn’t cause more damage while repairing like others. Considering the clients’ urgency and satisfaction, it gives effort for careful maintenance which means it never operates in a hurry. Vehicles are high priced and the client wants to keep it safe up to a long time. Quick and hurried maintenance may cause more damages to the vehicle and the client. Hurried maintenance may reach a primary solution, but in the long term, it may turn into junk of troubles. Flash Towing values client satisfaction the most. Such care for the client satisfaction and his needs is rarely seen among towing service providers where most of them are busy in cutting pockets of clients by unnecessary means. Flash Towing San Jose offers roadside services which include towing services, battery service, tire service, emergency service, car lockout solution, engine problem solution, fuel supply if necessary. It has skilled technicians and experienced labors with the latest machinery of repair equipped service stations. we have more than 20 mobile units to serve 24/7. It provides a warranty for its services. 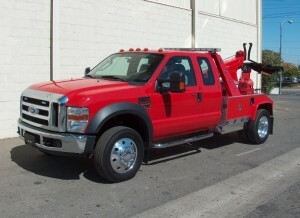 Flash Towing saves its client’s money and also it offers free towing in major auto repair jobs. Flash Towing San Jose has become a name of honesty and true service for the above-mentioned quality services it provides.